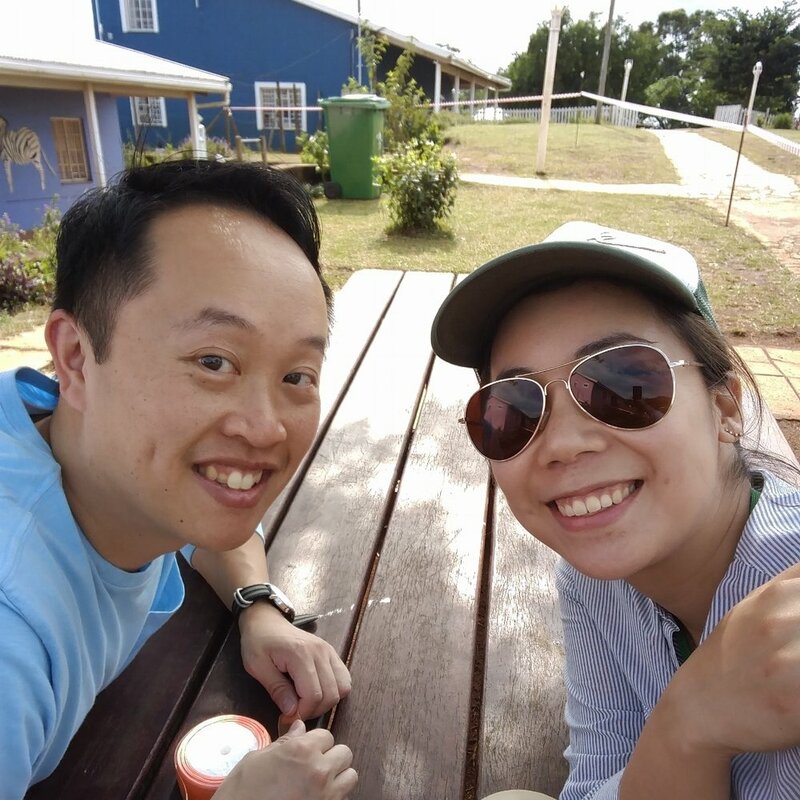 We’re Soo Young & Andy, NYC-based marketing manager and architect, and we’re headed to iKhethelo Children’s Village on March 30 - April 9. This is Soo Young’s sixth trip to iKhethelo and Andy’s third. After last year’s trip we got engaged and got married just this past January, so this is our first trip as a married couple. iKhethelo has a special place in our heart. We could not have imagined that 48 children and the staff that support the village would be a big part of our lives every year. And because we have sent teams every year, the relationship with iKhethelo has deepened, and we get to see the children become teens, and some even head to college. We are excited to lead a team of 7 people this year to run a one-week on-site camp with worship, bible studies, crafts and field trips. The trip will fall during a school break. In past years, we went to the beach, hosted an American-style barbecue, led crafts and went ice skating -- activities to keep them learning and having fun while they are on break from school. This year, we’re taking this trip through LoVE USA, a US-based non-profit that has been supporting iKhethelo Children’s Village for many years. We are so grateful and encouraged by all of the outpouring support over the past couple years. We are fundraising as a team, and each of us will be raising $2700 to covers flight, meals, transportation, etc. The rest goes toward the various projects we'll be doing while we're over there, as well as donations for iKhethelo. Andy and I will be covering the cost of our flights this year but invite you to support this trip and iKhethelo. The more we raise, the bigger the impact for the communities we are serving!